Some of you sell physical product online. If that’s the case, then here are the marketplace principles I’ve discovered to work well for e-commerce. For one, ‘traditional branding’ ads work if you’ve got the budget for national campaigns. And two, ‘traditional branding ads’ are for people who ALREADY use your products – so you just need to stay on their minds. So unless you have a national level budget, and your audience are existing customers… then stick with direct responds marketing. Direct response works on the principle of putting the ‘right offer’ in front of ‘the right person’ when they need it the most. Then, asking for an action within a pre-determined deadline. Finally, you track the response you get. That way, you can measure the results (important). You will know if the money you spend brought a return on investment (ROI) or not. After all, ‘investing’ is the name of the game in advertising. If you can put $1 and get $2 back… how much are you willing to put in? Some market investors are willing to lose money on the front-end because they can track the profits in the back-end through lifetime value. For example, the gas station Quick-Trip does this with cheap gas because they know the profits from “in-store purchases” increases the lifetime value of getting these customers. Look, I’m not telling you to avoid “brand advertising.” If you got that kind of cash… then go for it. Otherwise, small businesses should stick to direct-response especially if you’ve got a limited budget. But what about the people who sees your offer but they don’t buy? How do you get them to come back? If you own a ecommerce store for men’s fitness gear. And a prospect visit one of your workout gear pages… What happens when they don’t buy your gear and leave your page? Maybe they were on their cell phone at work and got busy. Maybe they forgot to come back. Most business only “hope” they come back. But in today’s marketplace, with it’s many choices and suppliers, simply “hoping” isn’t good enough. What you CAN do is use something called ‘retargeting’ or ‘remarketing’. This is basically a piece of code you can put on your website. You can get this code through Google, Facebook’s ‘perfect audience’ or companies like Adroll. Retargeting ads are cheaper to convert than trying to turn ‘cold’ leads into buyers. That’s because you’re reminding people who are ‘already interested’ in making a buying decision. This part is more important than the actual re-targeting. The “traditional” way to build an audience is you get them into your sales funnel and ask for an email. That’s the old way. It still works, but now you don’t necessarily have to do this. Remind a specific audience about a specific product category. Still not interested? Then, send them to a lead magnet (like a product catalog to your summer collection) in order to get them on your email list. 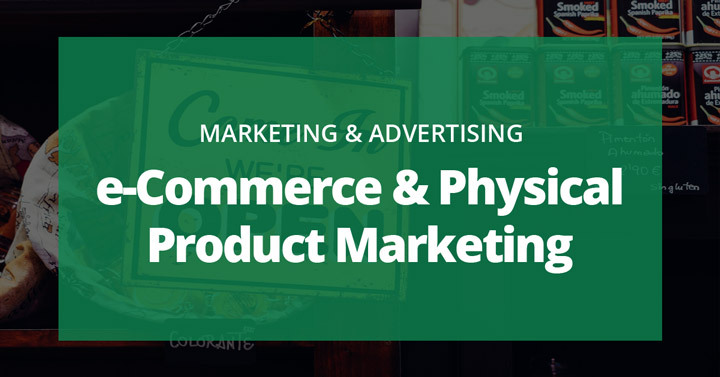 Build awareness to related products or categories to increase the lifetime value per customer. I guarantee you your competitor is not doing this they way they should. And if they are, you’re in trouble if you’re not doing it also. So get in early, build your audience first, and dominate the competition. Trust me, I’ve only covered 4 out of 10 items on this topic (including some ninja stuff you wish you discovered first). I might update this post into an “ultimate guide” in the future. But..
…for those who are interested now, who want to grow your e-commerce sales, beat the competition, then contact me directly at andy@ventureresults.com for some immediate help. Make sure you reference this post so I know where you’re coming from.